A body is taken off the Geo Ocean III, recovered from the wreckage of a plane carrying Argentine footballer Emiliano Sala. Emiliano Sala will forever remain in the thoughts of Cardiff City, the club said, as his body was formally identified after being recovered from underwater wreckage in the English Channel. Cardiff City Football Club said in a statement: "We offer our most heartfelt sympathies and condolences to the family of Emiliano. 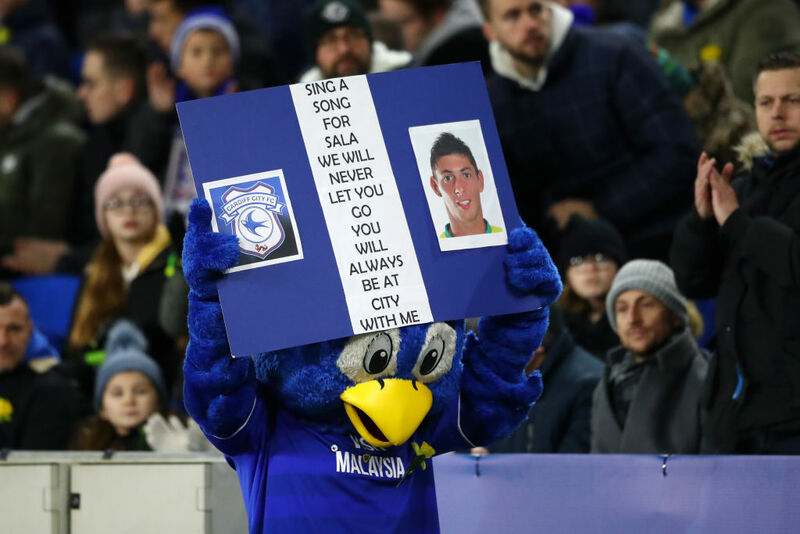 The Cardiff City mascot shows its respects for Emiliano Sala during the Premier League match between Cardiff City and AFC Bournemouth on Saturday.